Are you in the market for a new loft conversion? If so, speak to the professionals here at Acorn Building Contracts today as we supply Hampshire loft conversions that are second-to-none. With our fully trained team and years of experience to draw upon, you can rest assured that your conversion will be handled by the best. To find out more, call us today on 023 8024 3336. Moving home can be a time-consuming endeavour and incredibly costly too. 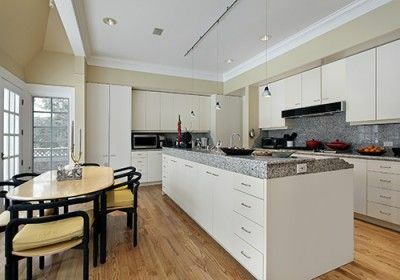 For some homeowners, the expense makes this option simply unfeasible – so the question is; how do you create more space without selling up and moving? Here at Acorn Building Contracts, we provide Hampshire loft conversions that are a cost-effective and easy way to extend your space without sacrificing your garden or garage. We provide a complete service from design right through to completion. Thanks to our team of fully qualified, NICEIC and Gas Safe approved tradesmen, no job is too complex for us to handle. To find out more about our loft conversions in Hampshire, please see below. 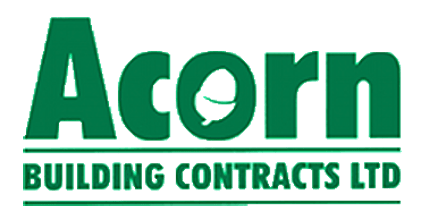 Here at Acorn Building Contracts, we provide a FREE consultation and design visit that is guaranteed to help you get the most out of your Hampshire loft conversions project. As part of the service, we take care of planning and building regulations to ensure that everything progresses smoothly. Depending on the type of consent that is being sought, we are usually able to begin work within 2-3 weeks of drawing submission. If your loft space is lacking in size, then our Dormer Hampshire loft conversions are for you. The purpose of a Dormer loft conversion is to create additional headroom to accommodate the planned features as well as the access staircase. Dormer conversions are ideal for bathrooms due to the additional height provided above the fittings. Rooflight/ Velux loft conversions in Hampshire are a great investment for smaller conversions such as studies and bedrooms. They are ideal for when adequate space already exists and can be used to create bright and vibrant rooms thanks to the addition of roof lights. If your loft space lacks sufficient floor space, then Hip to Gable Hampshire loft conversions are the way forward. The hip roof is replaced with gable ends increasing floor space as well as height. This allows for the creation of larger loft conversions that provide plenty of space without the hassle of hitting your head on low hanging ceilings. You will be provided with a fully itemised quotation. All quotes feature fixed prices so you can rest assured that our loft conversions in Hampshire entail no nasty surprises. If you have any questions or would like an expert opinion, speak to a member of our Hampshire loft conversions team today. When it comes to choosing loft conversions Hampshire residents can trust, it pays to choose a company with over 25 years’ experience. Here at Acorn Building Contracts, we take great pride in the service that we provide to our clients. Our well-established reputation has taken us years to earn and has made us the envy of our competitors. We strive to be the best around and believe that quality shouldn’t cost you a fortune. For this reason, our loft conversions in Hampshire are among the most competitively priced around. All work is carried out by our team of skilled and experienced tradesmen who adhere to high standards of health and safety. Furthermore, each member of our team is fully insured. As a company, we are proud members of the National Federation of Builders and Check-A-Trade approved. We are also part of Southampton Trading Standards County Council’s ‘Buy with Confidence’ scheme. Most of our work comes from word-of-mouth, so why not see for yourself what Acorn Building Contracts has to offer? Contact us to arrange for your FREE design consultation by calling the Hampshire loft conversions team at Acorn Building Contracts on 023 8024 3336.